Fanfare is part of the first set of Kontakt Player virtual instruments to combine the finest in traditional marching drums and brass with cutting-edge cinematic sound design. These superbly flexible virtual instruments will give educators, composers, and musicians an imaginative, innovative, and inspiring new sonic palette for creative music-making. Fanfare features the legendary DCI World Champion Blue Devils, coordinated by John Meehan, and recorded by Leslie Ann Jones on the Scoring Stage at Skywalker Sound (a Lucasfilm Ltd. Company) assisted by Grammy® Award winner Frank Dorritie. Fanfare features a broad array of marching brass instruments recorded both on the scoring stage and on the field at Ralph Wilson Stadium (home of the Buffalo Bills). The indoor recordings were done at close, mid, and far microphone placements, while the outdoor recordings were captured by Grammy® Award winner Frank Dorritie using state of the art stadium surround sound recording techniques. The resulting sonic textures range from full stadium ambience to an “in-your-face" brass ensemble, with all of the recordings capturing the Blue Devils’ signature sound of amazingly inventive chords, avant-garde clusters, swells, and organic brass effects. 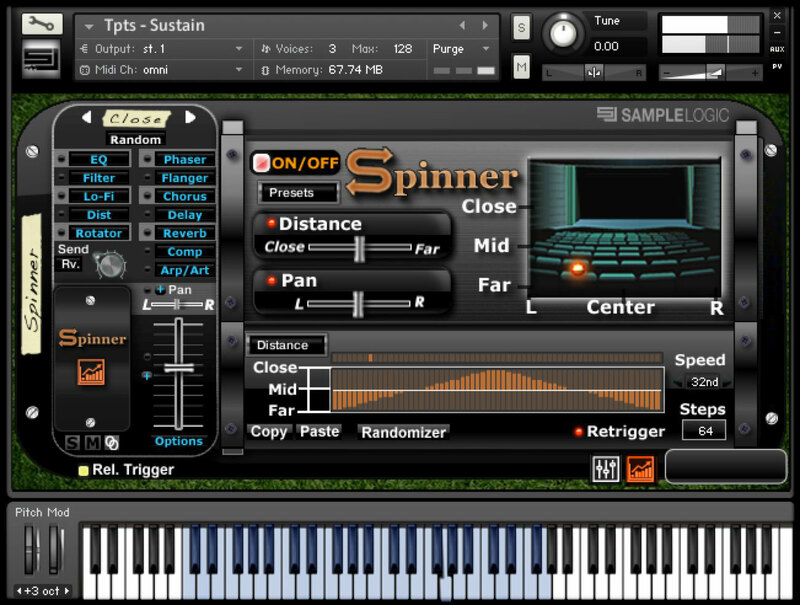 And it doesn't stop there… Fanfare not only boasts the finest traditional marching brass samples available, but extends the library’s sonic reach via Sample Logic’s signature “blurring the line between music and sound design” programming techniques. Starting with the traditional brass recordings, an entire library of morphed “cinematic” multi-sampled instruments was created, putting not only world-class marching brass at your fingertips, but also an inspiring array of melodics, pads, leads, stingers, impacts, transitions, atmospheres, and articulated rhythms–all organized into easily accessible, production-ready presets. 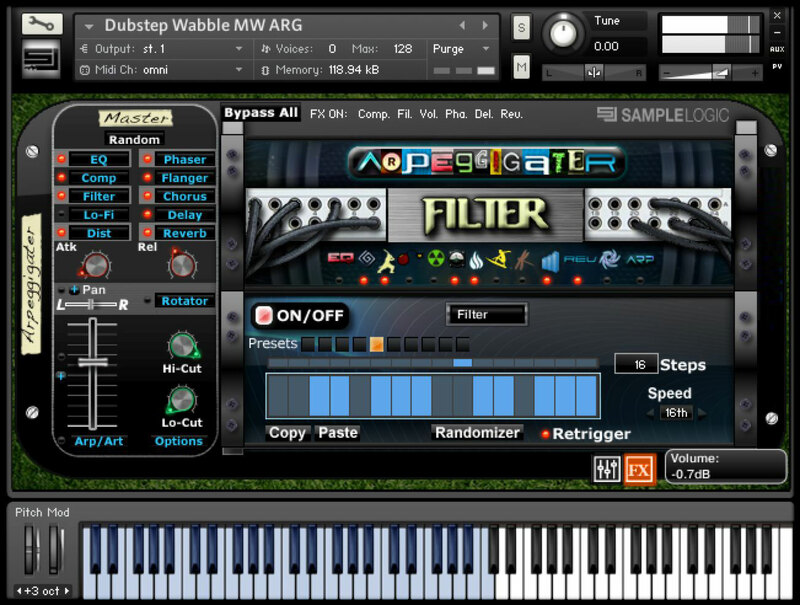 Sample Logic has once again produced one of the most advanced Kontakt user interfaces to date. Building on their exclusive “multi-core effects sequencer,” premiered in Cinematic Guitars, Fanfare provides over 40 screens of sophisticated, powerful, user controls for complete customization of the sounds. Controls include spatialization and sound-swirling effects, sequencers, LFOs, arppegiation, a rhythmic articulator, and a fully integrated multi-microphone mixer. Fanfare also features an exclusive five-mic surround mixer for the stadium instruments. And if you need even more inspiration, each and every instrument includes a comprehensive set of randomization options that give you virtually unlimited power to morph and sculpt any instrument in the libraries. Fanfare offers unprecedented control over sound and performance, thanks to Sample Logic’s custom-designed Kontakt Player interface, one of the most advanced Kontakt user interfaces to date. Building on the exclusive “multi-core effects sequencer” first introduced in their Cinematic Guitars collection, Sample Logic puts complete, customizable user control right at your fingertips, with sequencers, LFOs, programmable arpeggiation, a unique Rhythmic Articulator, and a fully integrated multi-microphone mixer. Fanfare boasts over 40 screens of powerful, intuitive user interface controls! Over 800 Instruments and multis recorded and processed at 88.2k/24-bit, delivered at 44.1k/24-bit.